NEW ALBANY, Ind. 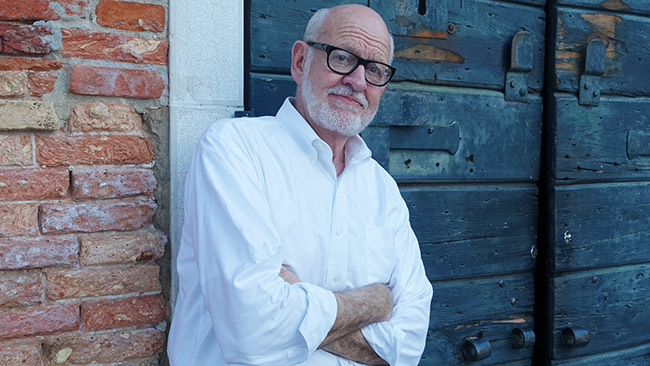 – Four-time Emmy Award winner Frank Oz will discuss his experiences in Hollywood and share his insights on how to have a successful career and the importance of creativity for the annual Sanders Speaker Series at Indiana University Southeast. This event is funded in part by the IU Bicentennial Campaign. Oz will be the keynote speaker at 7 p.m. on Tuesday, March 19, in the Richard K. Stem Concert Hall in the Paul W. Ogle Cultural and Community Center at IU Southeast. Oz has also performed the unforgettable Jedi Master, Yoda, in all of the “Star Wars” films. Oz has co-directed “The Dark Crystal,” “The Muppets Take Manhattan,” “Little Shop of Horrors,” “Dirty Rotten Scoundrels,” “Indian in the Cupboard,” Stepford Wives,” “Death at a Funeral” and several other films. Among his many honors, Oz has been the recipient of two George Foster Peabody awards, The American Comedy Awards’ Creative Achievement Award, The Art Director’s Guild award, The Saturn Lifetime Achievement Award and three gold and two platinum records. The Sanders Speaker Series is named after Judge Carlton and Sue Sanders, whose generous donation established the Sanders Speaker Series Endowment in 2008. The couple’s goal for the series is to bring high-profile speakers to the University to speak to the community about business and the economy. Admission is free. Seating for this event will be first come, first seated. Overflow seating will be available during the event.